present chairman of MPT I Jayakumar, a 1997 batch Indian Railway Traffic Service (IRTS), is junior to Kumar in batch. 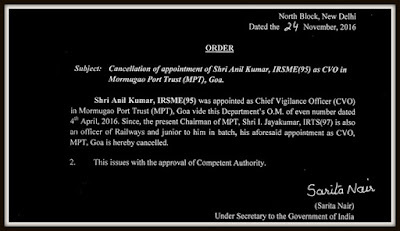 Kumar, belonging to the service of Indian Railway Service of Mechanical Engineers (IRSME), was on April 4 this year appointed as CVO at the level of director, for an initial deputation tenure of three years, extendable for a further period of two years in the same organization or three years on transfer to another organization after completion of initial three years with the prior approval of CVC and DoPT. The same order further said that the officer has the option to draw his cadre pay plus deputation allowances, if admissible or pay of the post. 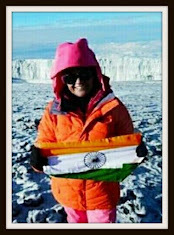 It's however not known whether the officer had joined the organization and why it took seven and half months to rectify the mistake. In fact, Jayakumar was appointed as the head of MPT back in September 2015. 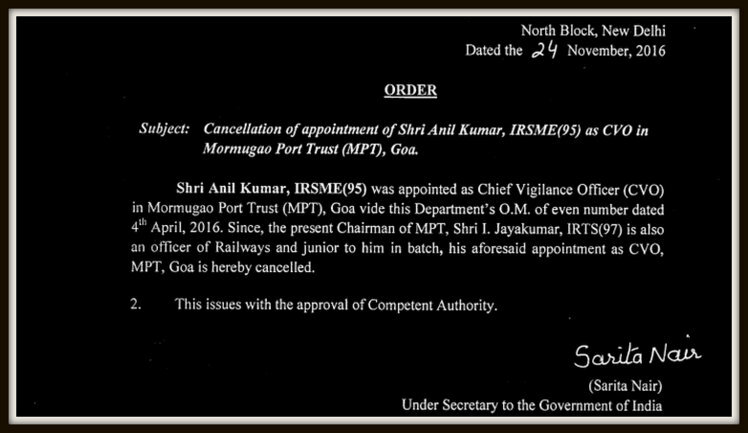 Jayakumar had earlier served as deputy chairman of the Kolkata Port Trust and CMD (additional charge) of the Central Inland Water Transport Corporation of India Ltd.
A foolish decision and symptomatic of the malaise that pervades the bureaucracy. This unhealthy obsession with batch-related seniority results in competency taking a back seat to performance. While I can understand the need to ensure an officer in junior grade is not officiating above the CVO it is silly to quote batch as the reason. In effect the GOI is saying that batch = seniority which is an insult to the hard work and performance of every officer who strives to do better than his or her peers.